Home » News » Top chefs’ Brain Food event raises over £10K for BTRC! 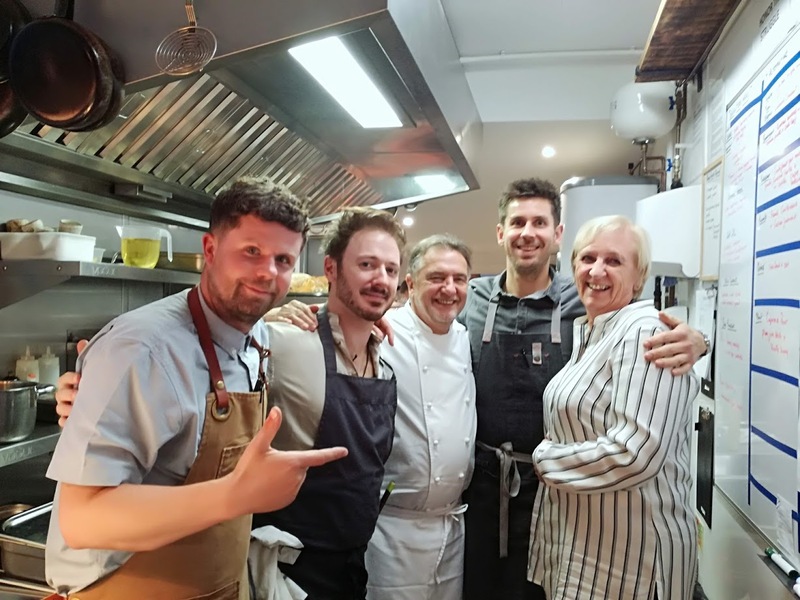 Three top chefs joined John Lawson at his eponymous restaurant in Leigh-on-Sea last October for an all day dining event which has raised over £10,300 for BTRC! John Lawson, who was guest speaker at the 2018 BTRC Amber Ball, was joined in the kitchen by his mentor Raymond Blanc, Robin Gill (another Blanc protege), owner of The Diary, Sorella and Counter Culture and Ollie Dabbous who recently opened ‘Hide’ in Piccadilly. Starting with a first sitting at 12.00 and ending 12 hours later, a total of 60 diners over 5 sittings enjoyed an amazing 4 courses, each devised by one of the chefs from seasonal ingredients which actively benefit the brain. During the meal, Blanc spoke very eloquently about the importance of collaborating with his fellow chefs to promote good nutrition for good health. After John Lawson discovered his brain tumour, his entire world changed. He moved from high profile celebrity chef to brain tumour survivor and subsequently opened his restaurant ‘FOOD by John Lawson’ with health and well-being in mind.